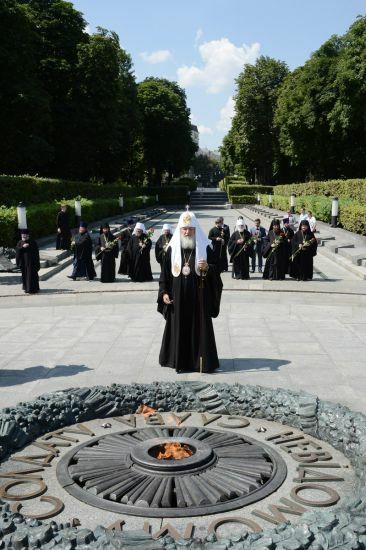 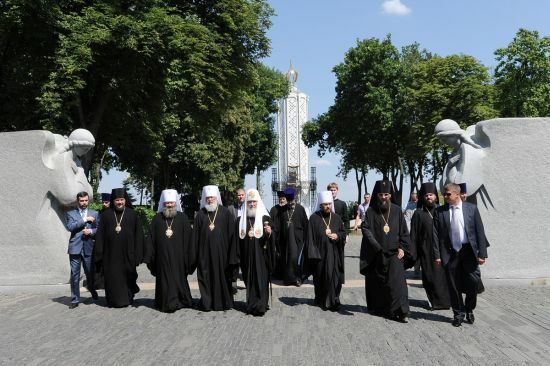 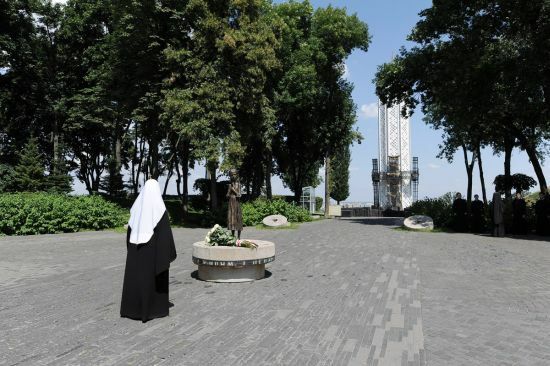 On July 28, 2012, His Holiness Patriarch Kirill of Moscow and All Russia visited the Memorial of Eternal Glory at the Tomb of the Unknown Soldier in Kiev and the memorial to the victims of the 1930s mass starvation. 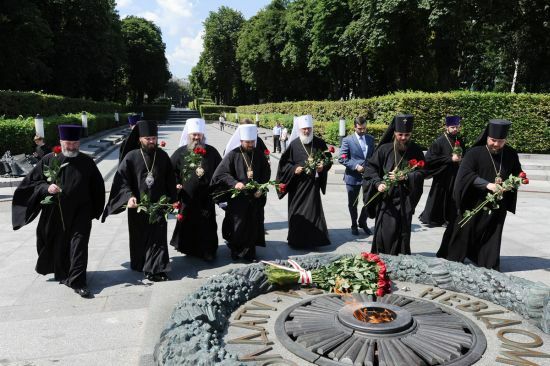 His Holiness laid wreaths at the memorials and said a prayer for the repose of ‘the commanders and troops who gave their lives for the faith and the Motherland’ and for the repose of the victims of the mass starvation which spread to several regions in Ukraine, Russia and Kazakhstan in the 1930s. 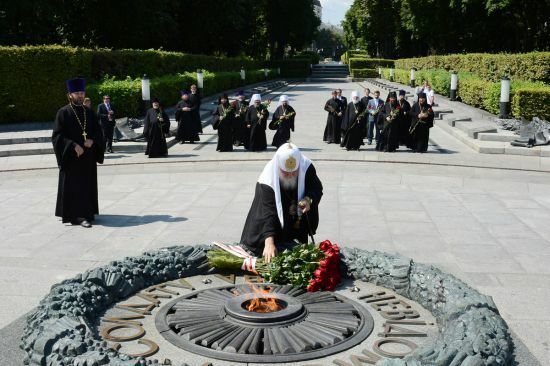 ‘Eternal Memory’ was sung to them.